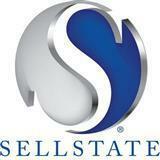 "Mike has been helpful 100% with our relocation from NH. He responds quickly with answers and has gone above and beyond for me and my family. Thanks ... more "
"I had three closings at the same time and Mike was on top of all details. These closings were very complex because they involved mortgages. He was ... more "
"We met Michael at an open house. While that house wasn't for us, Mike asked us some questions to get to know what our goals were. Before we arrived ... more "